June | 2012 | Sonic Smash-Music! Chihuahuan-born singer/songwriter Isabella Nian has released her first official extended-play record titled, “En Busca de Ti” (In Search of You). Twenty-five is a young age to have perfected the art of singing and songwriting, but that’s not stopping Mexican-American Isabella Nian from capturing the hearts of music fans all over the Spanish-speaking (y no habla) world. With the clarion voice of Celine Dion and the softhearted sentimentality of Jewel, the courage of Tori Amos and the rhythmic syncopation of Latin soft-rock band Camila, Isabella is more than prepared to take the stage at your local stadium, yet still down-to-earth enough to perform for her fans through stageit.com, on occasion. The music of Isabella Nian itself ranges from the towering emotion of an epic ballad to the carefree, Sheryl-Crow-style soft rock tune. Singing mostly in the soprano and mezzo-soprano range, her lilting voice is at once soothing and arresting, her lyrics at times tender and sympathetic while retaining the capacity for frank and direct inquisition, such as in “Hey Tu!,” one of the more punchy tracks on the EP. Isabella is perhaps best-known for her Spanish interpretation of “Rolling in the Deep,” a song originally penned and performed by British pop sensation Adele. 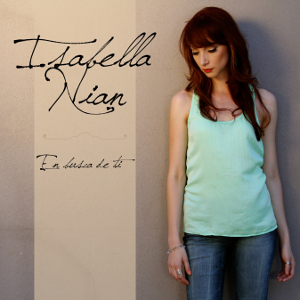 The version written and sung impeccably by Isabella Nian in Spanish is executed with such precision and personal style that it has since become the number-one rendition in such countries as Mexico, Chile, Venezuela, Peru, Ecuador, and Argentina. She has been interviewed on radio español regarding this performance and has enjoyed widespread media buzz since the track’s immediate – and continuous – success on the Spanish airwaves. Currently living in Orlando, Florida, “En Busca de Ti” is Isabella’s premier production, also featuring her runaway single, “El Alma en Ti” (The Soul in You). These tracks have been recorded with the artistic expertise of at least two legends: music producer Billy Chapin and studio engineer Eric Schilling, whose respective accomplishments include albums by Don Henley of the Eagles, Bob Dylan, Aretha Franklin, Gloria Estefan, Julio Iglesias, Shakira, Chayanne, Juan Luis Guerra, the Backstreet Boys, and more. United Kingdom rap artist Bluehomie has returned with “Dreamare,” his first full-length release since 2010’s “Under the Knife” LP. The record is an earnest return to the lyrical styles of classic ’80s rappers, who in those pre- parental advisory days could manage to write an entire album without relying on the boring sucker punches of repetitive profanity. 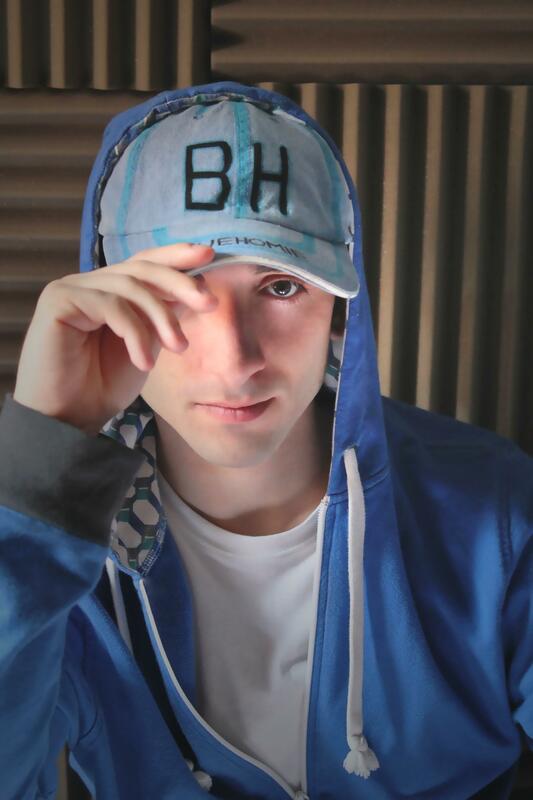 Bluehomie’s beats and melodies are straightforward and infectious in the tradition of his early hip-hop predecessors, with enough space in the music to keep his rhymes at the forefront where they belong, rather than buried in a morass of autotuned synth choruses and twitchy, hyperactive cyberdrums. These qualities, however, do not belie a vintage sound overall. Bluehomie’s loops have more in common with the underground beat junkies of the new millennium than the dated whistles and scratches of yesteryear, his lyrical syncopation more reminiscent of Eminem than of the Beastie Boys. His lyrical content is more sophisticated, also, without ever seeming pretentious. Bluehomie’s “Dreamare” is a record about perseverance, romance, and his love/hate relationship with the music industry, an ever-more-common theme among modern songwriters. Of his lyrics, Bluehomie only says, “I set out to write meaningful, intelligent and satirical material.” Though his focus is obviously on high-octane wordplay, the generous album (comprised of fully 17 tracks!) is not entirely rap and features ballads and dance-club compositions, which unlikely amalgam provides just as seamless a listen from one track to the next as a Beethoven symphony. Dark Forest, originally a studio heavy metal project performed solo by David Parks, has become much, much more live with their second full-length installment, “Land of the Evening Star.” Although still the brainchild of Parks, himself, whose direction, orchestration and themes are the clear inspiration behind this new incarnation of Dark Forest, “Land…” introduces a lineup of performers to develop both their onstage and studio presence. Heavy metal has come a long way from its roots in traditional rock n’ roll, so in describing an artist such as Dark Forest, one has a myriad of choices, some more applicable than others: speed metal, death metal, dark metal, black metal, or – as is more frequently the preference of the genre’s performers – just plain heavy metal, which seems perhaps most credible. Dark Forest’s, musical credibility, however, is not in question. Guitars thrum and chug like tonal, rolling thunder, choruses reverberate through snowy, seaside woodlands as if sung by druids, snares and symbols crack and crash in syncopated violence like the percussion of Napalm Death, only to sink back into the native war drumming of the ancient Nordic homelands. Since Parks began writing his music in 2003, it has been his fans who have clamored to hear the project performed onstage. Parks’ own vision has been one not only of metal, but of nature, history, and heritage. Song titles such as “Northmen of the New World,” “A Few Acres of Snow,” and “Bjarn Herjulfsson” (Norse explorer who discovered the Americas five centuries earlier than Columbus) showcase the passion Parks’ taps into when writing such epics. “Vesperia” and “Hearth” mark a deep respect for these noble themes of antiquity. 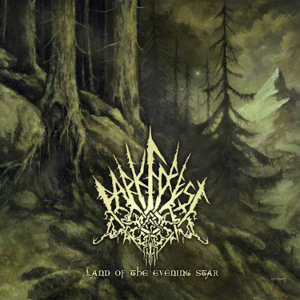 Dark Forest remains mainly the creative output of metal demigod David Parks, himself, but is also the result of his collaboration with rock titans M. Zemlak on guitar and vocals, T. MacLean on bass, and D. Horrocks on percussion. Orlando musician LITHOBREA has released a first full-length album, “Edifice,” as the flagship start to a stunning career. LITHOBREA [caps intentional] is the art of a single mind in Orlando, Florida, who has released a first full-length album as the flagship start to a stunning career. The music is fully orchestrated at the classical level of Hollywood’s best music scores, vivid and lush, and easily coaxes the listener to forget that the piece is almost entirely digital. The sound is ethereal yet sharp, soothing yet snaring, and unique enough to ensure LITHO’s place among a growing base of do-it-yourself masterminds in the new world of independent music production. 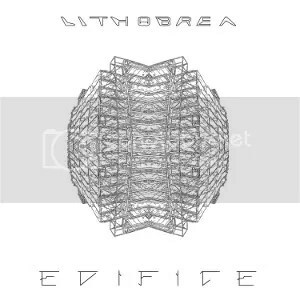 “Edifice” itself is an LP collection of LITHOBREA’s ten best tracks to date. The title track, “Edifice,” sounds like crystal shards falling through a kaleidoscopic stratosphere. “Underworld” evokes pictures of astronauts spelunking the subterranean wonderlands of alien locales. Each movement is singular from its successors and antecedents without seeming out of place, and the dizzying variety of melody lines and percussion motifs has much more in common with classical music than it does with modern techno. Naturally, LITHOBREA acknowledges the great composers as influences: Rachmaninoff, Sibelius, Liszt, and Vangelis being chief among them. However, the album will almost certainly resemble more modern artists to most music fans. Philip Glass comes to mind as the most famous example of a marriage between classical and digital music, but the sound itself is much more akin to Yes’s “Tales from Topographic Oceans.” LITHOBREA sites also German techno artist Kraftwerk as an influence. The result (not to say end-result) is this crowning achievement, “Edifice,” available online everywhere. Native Texan rapper Kane Colquitt is on the brink of the release of his newest EP, “Going Pro,” which is scheduled for distribution in June. Native Texan rapper Kane Colquitt is on the brink of the release of his newest EP, “Going Pro,” which is scheduled for distribution in June. 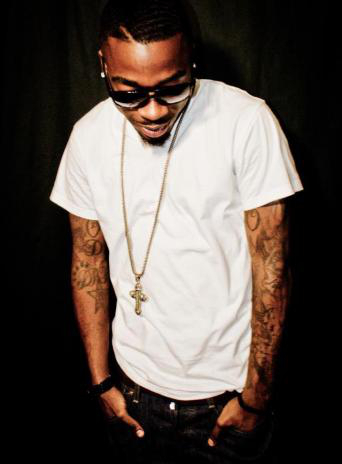 The extended play album features six fresh new tracks, “Addidas,” “I-45 (Featuring De Wayne Chandler),” “Lost In Da City 2,” “Faded,” “Free Spirit,” and “Twerk Music.” “Going Pro” is an exclusive Hip Hop / R&B release distributed by MondoTunes and showcases Colquitt’s adroit lyrical wordplay in the classic styles of such artists as Tupac, Biggie, Marvin Gaye, Grand Master Flash, and Eric B. Rakim. Colquitt’s style is a cleaned-up modern sound utilizing a heavy understanding of engineering principals. Many of the classic background tones are present, all electronic, with only the occasional guest vocalist for accompaniment. Colquitt’s “Going Pro” manages to keep the volume up without losing harmonic integrity, and without sounding overproduced. Though his themes range from very personal to absolutely commonplace (“Addidas” is a literal celebration of athletic footwear) Kane Colquitt takes his thematics very seriously and pulls no punches whether he is rapping about his spirituality or his shoes. He has stayed his hand from the use of autotune and other such popular vocal modulation, except in the case of “Free Spirit,” in which he experiments with his voice by exploring how he might sound as a baritone. His first real song was an unstructured freestyle rap of twenty-one bars that he produced with some of his childhood friends. It was during this period that he developed a repertoire that includes such singles as “Lost In the City,” “Lost In the City – Part Two,” and “Coming Down Swangin’.” He debuted his latest single, “Addidas,” in Austin during the SXSW conference at a concurrent rap showcase. He is a currently enrolled student at Texas A and M University. He belongs to the fraternity of Alphas and is deeply involved with the A. group on campus, Education Mafia. 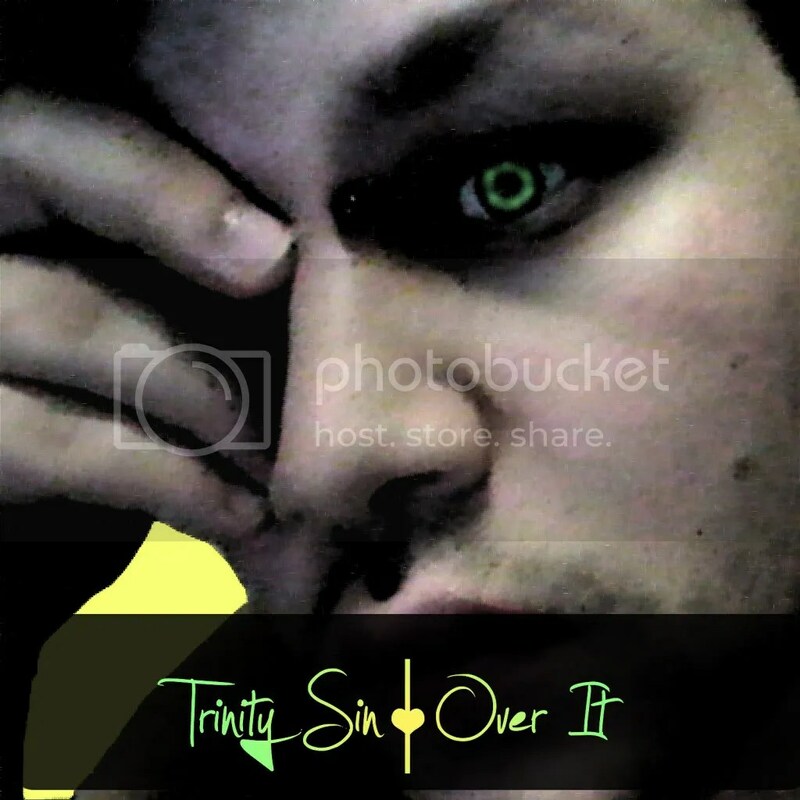 New York’s up-and-coming dance/electronica artist, Trinity Sin, has released “Over It,” his first major public release since 2010’s “Lollipop Eyedrops 2.0.” The song is upbeat with smooth, crystalline melodies and quick, although unhurried, electronic percussion. It showcases the modern harmonic use of autotuned vocal tones in the style popularized by artists such as Lady Gaga and Cher, and solidifies Trinity Sin’s claim to the New York underground dance subculture. Trinity Sin is the first professional music project by New York native Ray Decker, who grew up in the small town of Wellsburg as the youngest of three siblings. His lyrical style was honed through the writing of poetry, but he soon turned to penning songs, which he did not begin to sing until much later. In the earliest stages of his artistic development, Decker did not take his budding craft seriously, but after completing several whole songs decided it was time to sing them, which MySpace-borne performances became the basis of Trinity Sin. Of songwriting Trinity says, “The point of my music isn’t about the money I can, can’t, or won’t make. It’s about the connection I can have with people, and I would rather that than any amount of fame or money.” Still, money is as much an obstacle for Decker as it is for any new artist. “I would do music for the rest of my life if the equipment was cheaper,” he says. Having honed his skills as a composer and live performer, Southern California musician Jeff Price has found time to release his first official full-length album, “The Theatric Fantastic.” The album features Price himself in a dizzying variety of roles, including pianist, vocalist, backing vocals, writer, producer, engineer, and many more. The sound, although inspired by the operatic rock group, Queen, is entirely his own, a roaring, surging current of choral crescendo, while at times being carried solely by a few notes on the piano. Jeff Price is a progressive musician hailing from Santa Ana in Orange County, California, a hotbed of musical subculture that regularly produces high-profile pop artists such as No Doubt, the Offspring, and the Vandals. His works rely on heavy vocal orchestration, the performance of which Price seems more than comfortable executing live as a tenor, mezzo-soprano, or falsetto a la Freddy Mercury in a range of over four octaves. At several points on the record, Price performs duets with himself in the classic point, counterpoint style of opera. This also forms the basis for his live performance, which is aided by the unabashed (and entirely appropriate) use of prerecorded vocals and various accoutrements, allowing his stage presence to fill a concert hall more than might seem likely for a man playing solo on a piano. Once, when asked to play a battle-of-the-bands as a stand-in at a local Southern California university, Price hurried to the stage with only twenty minutes before curtain time, instantly captured the attention and appreciation of the audience, and won the competition. 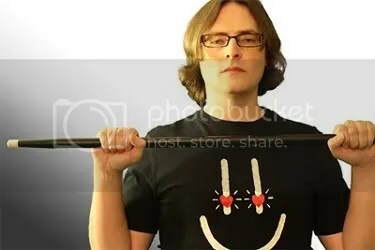 Jeff Price's promotional EP is free for download when you become part of his fan club at his website, www.jeffpricemusic.com.